The Indian Tech Scene has been set ablaze with the launches, speculations, rumor mills and what not. Humans were treated with couple of i products and a slew of Droids seeming determined to take over the World! Nokia embarked on a new journey with Lumia series and was applauded for its epic camera unit in Lumia 1020. The pricey iPhone 5S costing Rs 48,911 which was released couple of months ago sold 65,00,000 pieces in the first month.The iPad Air boasts of an almost impossible form factor turning it into a mean and lean machine. Come 2014 and we already have the flagships lined up. 1. iPhone 6 The Cupertino folks have been working hard and developing products at a rapid rate. The iPhone 5S which was released couple of months ago sold 65,00,000pieces in the first month. iPhone 6 is rumored to adapt the curved screen technologywhich also increases the screen size marginally.We are pretty much sure that Apple will come up with some mind boggling technology and sell like hot cakes as usual. Expected release date- May 2014. 2. 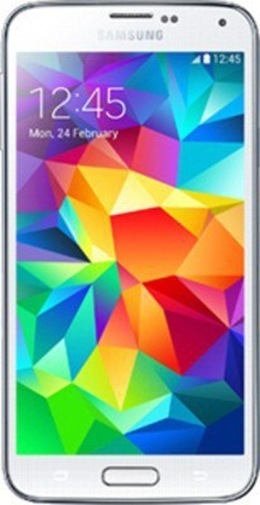 Samsung Galaxy S5 Galaxy S4 was a big wave of success but was overshadowed with the Galaxy S3 presence and unbelievable sales. Galaxy S5 may get a complete overhaul with a 64 bit Exynos processor with 2.4 GHz of processing power at the tab. It may also play host to Samsung’s latest ISOCELL technology which helps it to filter the noise and excessive light from the pixels. 3. Nexus 6 KitKat debuted in a big way along with the Nexus5. This occurrence was the telltale sign that Google wants a bite of everything be it the Internet, operating systems or the smartphone market.Nexus 6 will be launched as we will inch towards the end of the year. It may be preloaded with the latest Android that might be launched during the same time. 4. LG G3 LG is fast catching up with the trailblazers like Samsung and Apple. G3 is rumored to have a flex screen, Yes that’s right a screen that’s flexible and can be tucked away in a jeans pant as easily as a currency bill. LG might also go for a Quad HD screen which displays its brilliance with a 2180 p screen. 5. HTC M8 HTC is currently sailing through turbulent times with its flagship model HTC One being the only contender in the Taiwanese smartphone manufacturer’s bandwagon. HTC M8 will turn out to be a cleverly played triumph card for HTC if played well else it might also be the last nail in its coffin. How does Housing Brand Reflect the Company Values?